Top placement in search results is everything in Ecommerce. 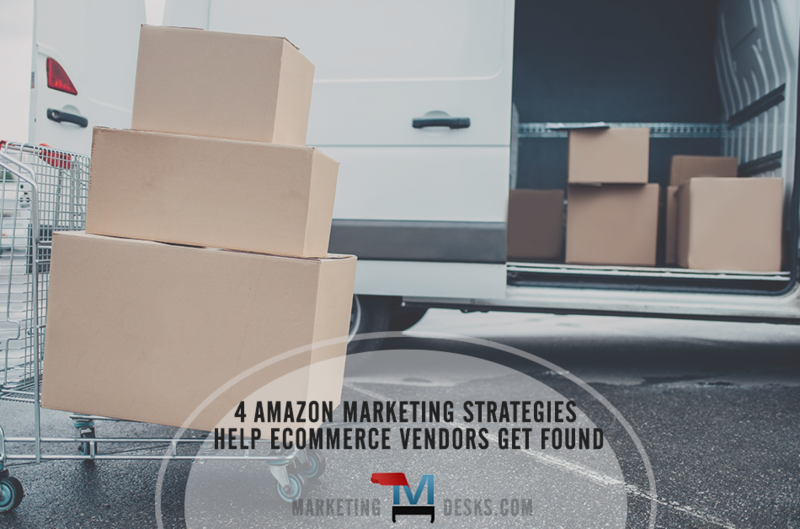 Find out which factors affect vendor placement on the platform and get Amazon marketing ideas to help your products get found everywhere. Amazon is known as “The Everything Store.” Chances are that one of the first things you realized after becoming an Amazon merchant was that you’re competing against dozens of other merchants for sales of the same (or equivalent) products. Ensuring that your products are among the first Amazon customers see when they search for products like yours is job one. 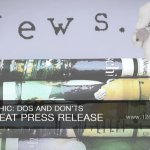 The good news is that much of the work you do to ensure you get found first in Amazon search will also help your products get found on Google and other search engines, too. Like other search engines, the Amazon search engine has an algorithm that results in favorable placement for some products vs. others. 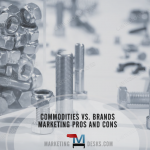 Though you’ll rarely find a search engine that tells you exactly how to rank in results, there are organizations that test the engines – extensively – and compile what they learn into actionable, weighted priorities. 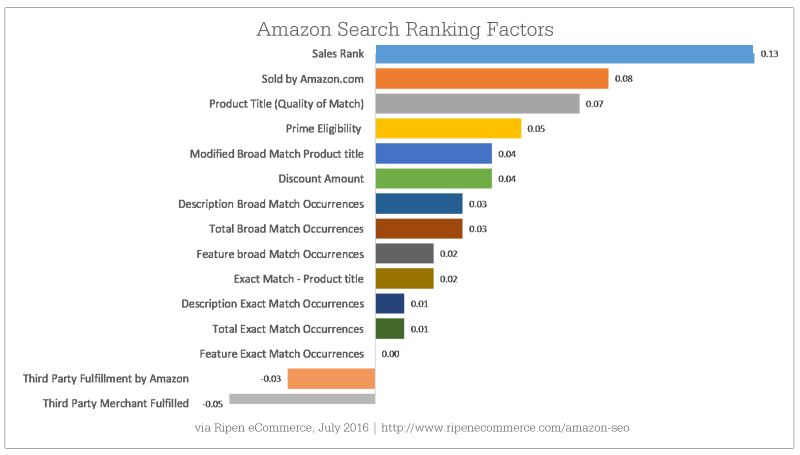 New data provided by Ripen eCommerce shows which factors cause products to receive a more (or less) favorable placement in Amazon’s search results than those of their competitors. If you want your products to be those that customers see most often, these are the factors that matter most. Ensuring that these items are accounted for your Amazon marketing plan should be at the top of your list. Anything that is within your power to do or change could mean more product sales for you on Amazon. Of note from this list is that there are factors which can affect your product placement negatively as well as positively. As you can see, Third Party Fulfillment by Amazon and Third Party Merchant Fulfilled products may be placed lower in search results and been seen less often in customer search results. While it’s not on the chart, remember that your merchant page can also get found in online search, and gives you yet another piece of digital real estate where you can plant your brand’s flag. You can use Google AdWords to research product-related keywords – words and phrases that real people would be likely to type in to search for products like yours on Amazon, Google or other search engines. 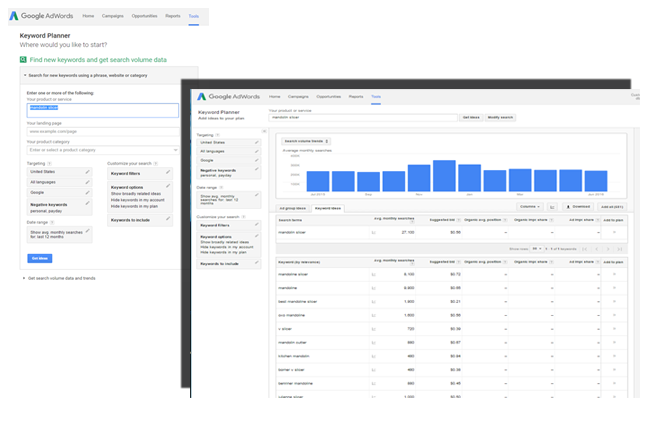 AdWords and other keyword research tools will give you incredibly useful data, such as how many people search each month for specific terms and many even provide you with suggestions about other keywords you should incorporate into your content. Though part of Google AdWords, you need only login with your Google ID to use the keyword planner and you aren’t required to supply any kind of payment information; you might need to navigate past the initial ad space your first time. 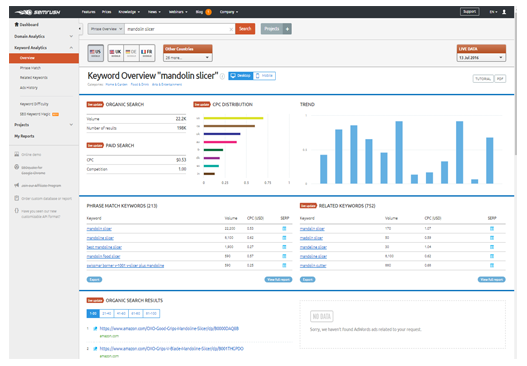 While you can see keywords and variations that can help with semantic search at no cost, you must subscribe to at least the Pro Basic version (currently $68 per month) to get data relating to search volumes, average cost per click, etc. 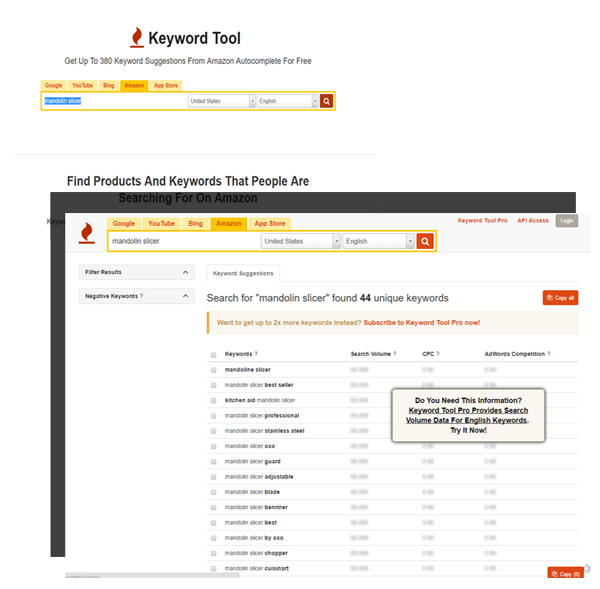 One great thing about this keyword tool is that it can show you not only search data for Google, but for the actual Amazon platform as well. For about the same amount, you can subscribe to SEMrush and get access to a whole toolbox of data and resources that can help you get found online more often, especially if you want your products to get found not only in searches on the Amazon platform, but in Google, Bing and other search engines as well. Google’s search algorithm is so sophisticated! Scroll down to the bottom of the page of search results and you’ll find that they’ve included a list of suggested alternative terms. These alternates are related terms that “real people” are commonly using to search for products like yours every day. 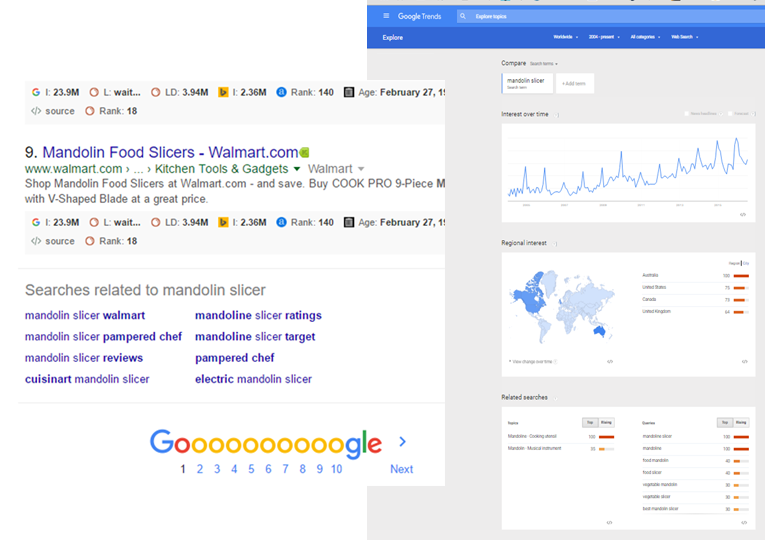 Google Trends provides insights about whether search terms are increasing or decreasing in search popularity. There’s no such thing as an Amazon marketing fairy! Just because your products are for sale on Amazon doesn’t mean Amazon is responsible for promoting them. It’s up to you to support sales by marketing your goods and services just as you would if you were selling them only from your own e-commerce site, with a plan for social media and email marketing. Driving traffic from social media sites or search engines using PPC (pay per click) ads and sponsored posts is a great way to increase product awareness and impact sales. In addition, the more sales that occur, the more relevant Amazon’s algorithm interprets your product pages to be, which means they’ll be placed higher up in search results and more Amazon customers will see your products among their search results.